Air conditioners are designed to continuously maintain the temperature, humidity and volume and purity of air flow . 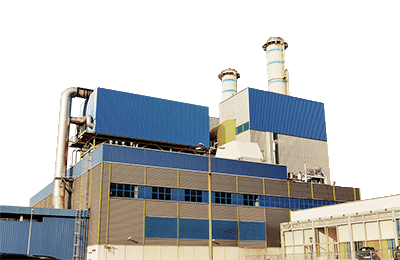 VCAF chillers series were designed for use with any function. The Russian Company «VYBOS» is a manufacturer of high-quality climate control equipment. 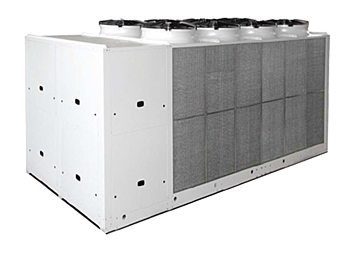 The company’s main specialization – is designing and production of precision air conditioners and cooling systems for premises requiring the maintenance of precise temperatures and humidity of air. The equipment is produced on the most advanced production lines applying advanced technologies, and is confirmed by all certificates required. We engineer solutions and implement comprehensive projects, where a multi-year working experience, professionalism of the company specialists, and advanced technologies are combined. Air conditioners «close control» designed for continuous maintenance in given limits of temperature, humidity, volume and purity of the air flow. 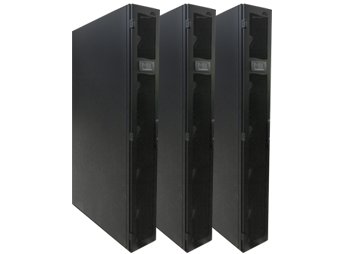 They are designed for installation in server rooms and data centers as well as in industrial areas, laboratories, and in any other areas where you need to continuously maintain a certain microclimate. 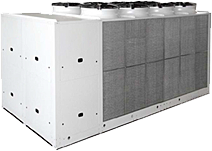 Precision Air conditioners Vybos is high quality equipment made according to the highest international standards using the latest technologies and technical developments of of leading manufacturers of components. ROW unit is a multi-split system, designed for high density CED system. Due to its ergonomic shape, it is able to dissipate high heat loads in a small floor space. 24 kW and0,3 m2. The new and the continuing evolution of the IT centers requires versatility and compactness that CLIMARACK is able to offer. It can be used both in the forced closed cooling systems (“closed loop”) and in the hot / cold aisle systems (“hot/cold aisle”). 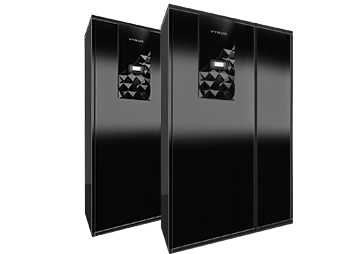 Chillers Vybos are the family of chillers are designed using the most advanced technology and designed to meet the requirements in a variety of technological systems (industrial, commercial, telecommunications, IT and other). In the family of chillers Vybos available chillers with free cooling Free-cooling), chillers with air and water cooling of the condenser, the standard and low-noise designs to meet the highest requirements of the Customer in ensuring the efficiency and noise requirements. Компания Вайбос примет участие в 15-ой международной выставке по климатическому оборудованию, промышленному и торговому холоду "Мир климата", которая пройдет с 3 по 6 марта 2015 года в Москве. Компания «Вайбос» изготовила и произвела плановую отгрузку прецизионных кондиционеров Row600DX20S внутрирядного типа с фронтальной подачей воздуха для объекта Федеральной налоговой службы России. Вышла в свет новая версия сайта компании Vybos. Надеемся, что новый сайт станет удобным инструментом работы с продукцией компании. Если у Вас возникли какие-либо вопросы, связанные с работой сайта, то Вы можете воспользоваться формой обратной связи. If you have any questions, leave a request and we will contact you!